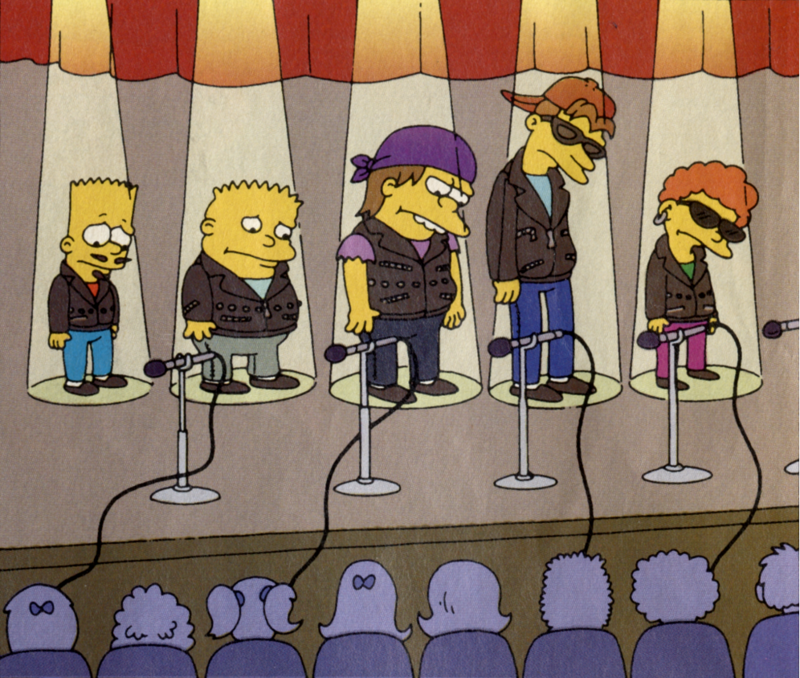 5 From 'Field is a boy band consisting of Bart, Nelson, Ralph, Rod and Roy. Their name is a reference to their hometown of Springfield. They released a No. 1 hit single, "Please Smile, Girl ('Cause Frowning Makes You Ugly)". The band was founded by Homer Simpson after he found out that you can star money on music and managing by Nigel. Ralph turned out to be the only one who could sing so Homer recorded the song in five different voice mode with Ralph, and the others in the band had to mime their lines. The name of the band was first suggested by Squeaky-voiced teen but it was dismissed first before Homer suggested the same name. The band's first album was a success. 5 From 'Field was disbanded after Martin Prince, Jr. said they can not sing after he discovered the voices in the boy band were similar and he wanted they to sing in front of audiences and not just in the studio as they had done so far. Homer wanted to prove they could sing for Martin and the members got to practice there singing voice before a performance next day. Their voice was not better and just before the appearance ended Ralph in the band to start a solo career which made the band get terminated. Modified on March 11, 2019, at 14:18.